Wow. This is just amazing. I love it!! The perfect, pretty, delicious, Holiday appetizer! Once I found this recipe, I have made it every year since. It has a beautiful color, keeps for weeks in the fridge and everyone loves it.!!! If you are looking for a gorgeous and yummy appetizer, this is it! 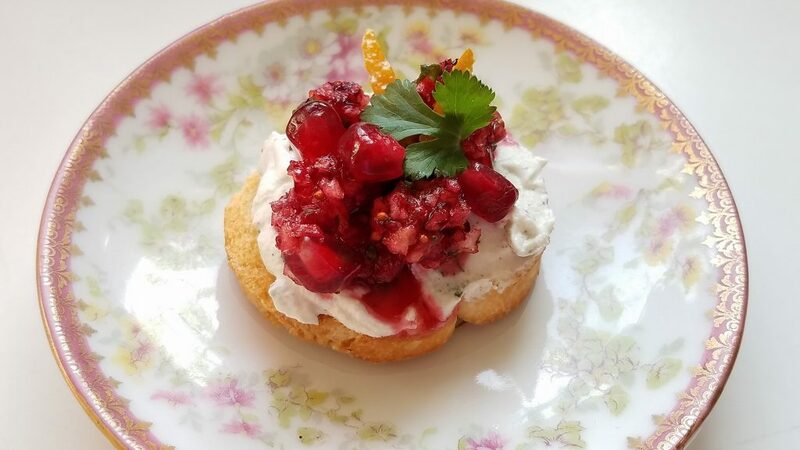 This link will take you to the recipe and the only thing that I did different was instead of cream cheese on the crostini, I used goat cheese with fresh ground pepper. I think its a great choice but either way is good. Also, if you read through the recipe link you will see you can also use this to make a delicious salad dressing!